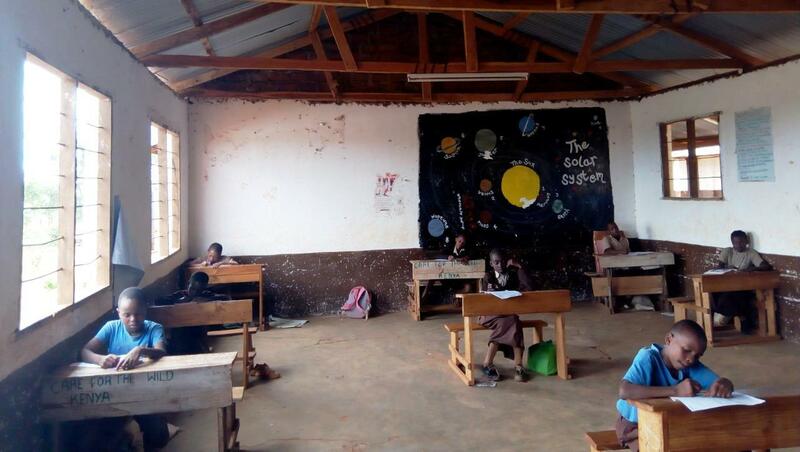 Today standard 8 candidates were at school seriously revising for their national exam. The turn up was quite encouraging. Today Kileva Eastfield Primary started end of term exams. 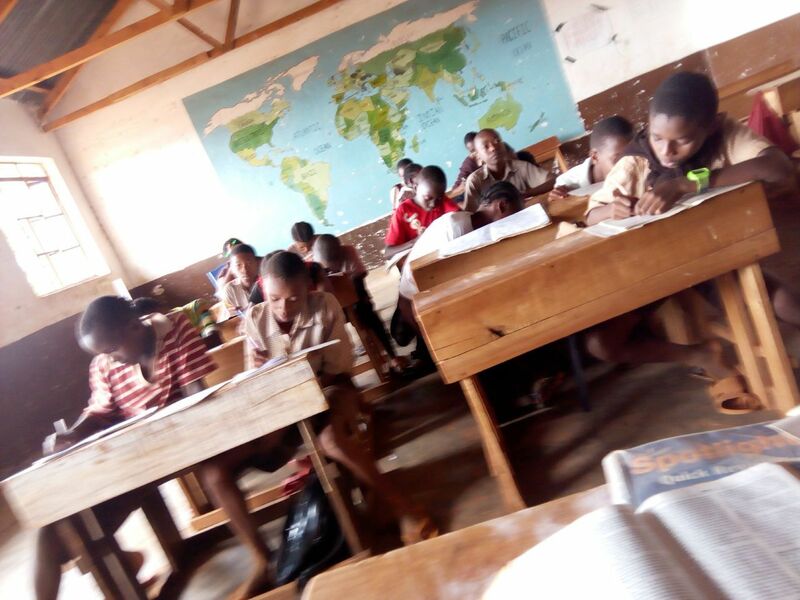 Grade 4-8 did sub county exams, while Grade1-3 did their own school based exam. They started with maths and then English and composition for std4-8. All was well. Today we were privileged to have Dr Lucy King from the Elephants & Bees Team and other people from Mexico visit the school. They visited class 8 candidates and interacted with them. They said they were were very much impressed with what they saw, and wished them best of luck in their KCPE (Kenya Certificate of Primary Education) exams. Mr Nina and Mr Will from Mexico addressed class 8 candidates. Mr will was very much happy with what Mr Nina was teaching. Mr Nina was revising Maths which was done during the end term exams. Today we received visitors from Mexico grandparents of Rachael who donated us with the first aid kit .they were very happy with the kit and pupils of Kileva. I Mr. Mazai (health teacher) and them are seen in the photos with the kits. We also interacted with the visitors in our farm club. They were very much grateful to our club and the outdoor classroom. Today the school was officially closed. We had a wonderful meeting with parents where we read the results of the sub county exam that we did. Mdm Beata is with class 5 parents where by she presents gifts to the best performers. Mr Mwakio with mashairi pupils entertaining parents during closing ceremony. After long rains at the beginning of the year, every one has harvested as much as he/she planted.Now that its august the dry season, everyone has engaged him/herself in different activities: some cultivating their farms and clearing bush ready for the rainy season in October, some have engaged themselves in weaving. The project was introduces to Mwakoma women by the Carbon Work in cooperation with Save the Elephants.The women were taught how to make baskets, soap dish and others depending on sizes. Thereafter a complete basket is sold at different prices depending on size. It has been sleepless nights at mwakoma village becouse of hyenas attacking domestic animals at night.This has happened in many homesteads including madam Agys home. to our suprise no meat is left but only skin peaces . This problem has made the owners to sleep outside their houses so that when the animals make noise they are ready to rescue their animals,also it has become a challenge to some people to sleep outside becouse this is a cold season.Kenya wildlife service has not yet taken any action so far. The school is continually in need of maintenance work being carried out. For example the latrines are in bad condition, and two windows of Class 3 are almost falling out. The ECDE (Early Childhood Development in Education) latrine has been completed thanks to funding provided by the County Government. A1000l litres tank has also been provided. The photos below show Kileva parents participating in sand carrying communal work whereby the sand will be used to modify the school kitchen. At a recent Extra Mile Revision Strategies session for class eight pupils in Social Studies, we agreed with the pupils to do outdoor learning in the evening after classes. We sourced past papers from lower classes std 5,6,7 and 8 for the revision work. This is in the hope of raising their grades, attitude and mean score in this subject. They received this initiative in high spirits. They divided themselves into two groups, Group A and B. Parents dug out the toilet in unity. Building materials were brought by a prominent contracter, including sand and bricks. It was a soul touching Pastoral Programme whereby Mdm Priscillah delivered a sermon from the Bible, Acts chapter 9:1-19. This showed the pupils how God changed Saul’s name to Paul, a very powerful Apostle of God. He transformed from a bad person who persecuted Christians to a great servant of God. Pupils learnt that anyone can be transformed from bad to a good person. At an inquiry into the performance levels of class eight pupil’s, we demanded that they give us the challenges facing their performance, and we also suggested solutions to the challenges. Each pupil analysed their exams closely. Kileva Eastfield Primary school pupils received bibles from Gideons International. They will be useful for spiritual nourishment of the learners, and during C.r.e lessons. Class seven pupils are being shown how best to open and use the Bible. 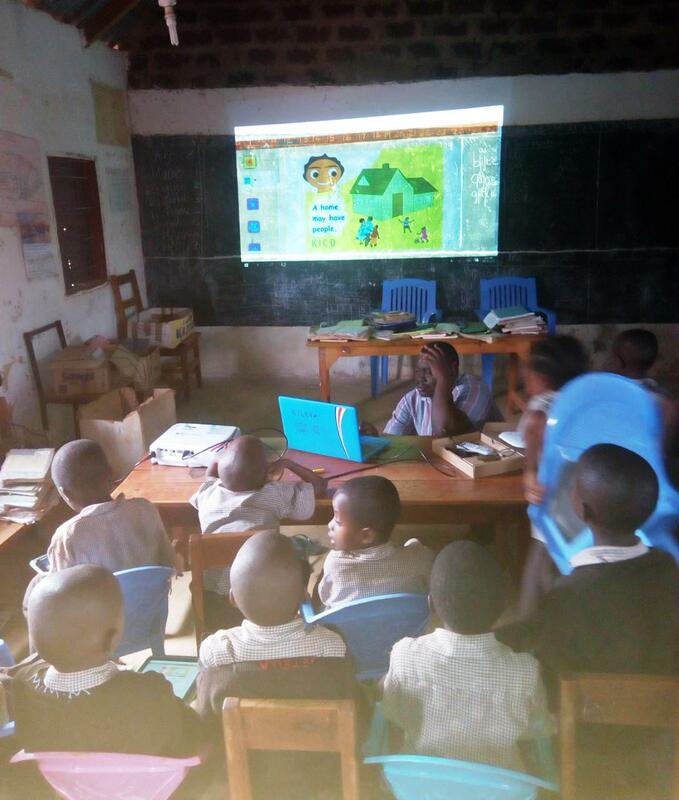 The following photos show Chairperson KIKIM presenting revision textbooks to classes eight and seven after a mentership session with the pupils conducted to inspire the children to work hard. The book gives specific details of the steps to be followed. Kileva Eastfield’s lower grade classes join in a singing game at break time. The singing game is commonly called “Taking a letter to my father, then it got lost along the way”. In Swaheli this is “Apeleka barua yangu Kwa babaa, ikapotelea njiani”. This is a song good for their entertainment, relaxation and competition. Today Kileva Eastfied participated in the deworming exercise led by the Headteacher. The pupils from ECD (Early Childhood Development), the Primary School Teachers, and some parents were dewormed. The following ‘photos show parents, teachers and Standard 8 pupils discussing performance using the marklist. The marklist indicates that there is an improvement. 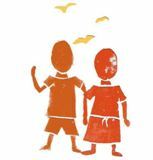 Parents promised to work closely with teachers for better results after the teachers gave out the challenges they face. They informed parents that there is still more room for improvement. Pupils at East field primary school taking their delicious lunch of Maize and beans.They washed their hands clean before eating the balanced diet. Patrons Mr.mazai issued the cards and the school registration certificate to the members. We have registered 56 members in the school, and all will be onboard next Saturday, accompanied by their patrons Mr. Mazai and Mdm Kelly. Class 6 Parents meeting took place today. Parents sat with their pupils for encouragement and bonding. The aim of the meeting was to discuss the performance levels of class 6 pupils. The class teacher led parents on the performance class mean scores as indicated by the exam analysis chart. The class mean score is at 200 marks, but there’s need to raise it above 260 marks and more. Pupils raised their challenges, and in unity we raised the solutions to the challenges they face such as working extra hard as a team, and doing proper studies and sound revision at school and at home for more success. Wildlife club members yesterday had a drawing competition, and also a briefing about the tour planned to be on Saturday 14 July sponsorerd by our neighbors the Elephants and Bees Research Center. The girls won the competition. The organisers of the competition were Ken from Elephants and Bees, and Mr Mazai who is the Wildlife Club Patron. Kileva Eastfield’s girls today received sanitary towels from the Government through the office of the County Women Representative. This is important in keeping the girl child at school throughout the year. The teacher demonstrated to the girls on how to use the towels and maintain hygiene. The Headteacher gave a vote of thanks as more of such assistance is needed for the girls. The County Women Representative is called Hon.Lydiah Haika. Yesterday Wildlife Club members of Kileva Eastfield Primary had an education trip in Tsavo East park. We visited the vast Mdanda rock, the Voi Safari Lodge and the vast Savana grassland of the park. We enjoyed all our time there. We took our meals at Mdanda rock and rested for about two hours as we observed animals drinking water in the dam. Mr. Mazai, Mdm. 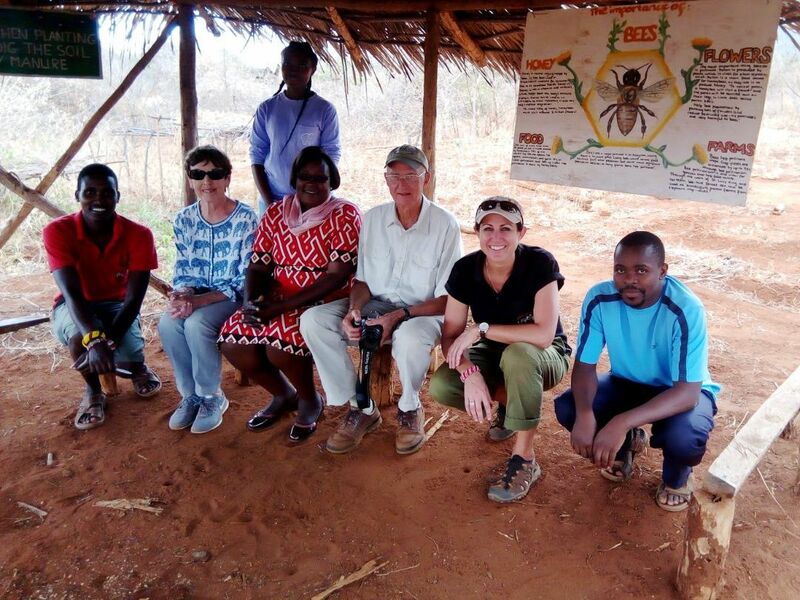 Kelly (Club patrones), Ken and his friend from Elephants and Bees accompanied the learners. We came across several animals including elephants, ostriches and a variety of gazelles. The climax was when we met a nlion. I was very happy and even forgot to take a photo! Here is one of the school girls cleaning and dressing a wound of her fellow pupil yesterday. The girl had stumbled on a stone when playing during games time. The cleaning and dressing was under supervision of health teacher Mr. Mazai. Thanks to you all dear members and Kileva Foundation at large.